Anyone else out there feeling like they need a break from holiday food? As awesome as all of those sweets I made were/are, I really need to get in something healthy if I am going to enjoy New Year’s Eve and Day. We have managed a really good job of making sweets when we are in charge of desserts for gatherings or having Steve take them to the office or finding some way to eat just a serving ourselves and give the rest away, so we are really feeling all that holiday sugar more than we did in the past. As a result, I dreamed up this Broccoli Salad with Sesame dressing. Steve is out smoking chicken, and I am making salad and baking sweet potatoes for a delicious healthier dinner. I really have to confess, when I started making this I was feeling so like not eating anything at all that I was just not enthusiastic. I hadn’t had anything to eat all day and didn’t want anything. But, after I ate it, I felt so much better that I am actually looking forward to dinner – and having more. It seems to have given me back my appetite. I attribute that to the broccoli and ginger. Something that is delicious and makes you feel better is a win-win in my book! Bring a large pot of water to a boil. Add broccoli and bring water back to a boil and then quickly remove the broccoli. You want it to be just barely cooked. 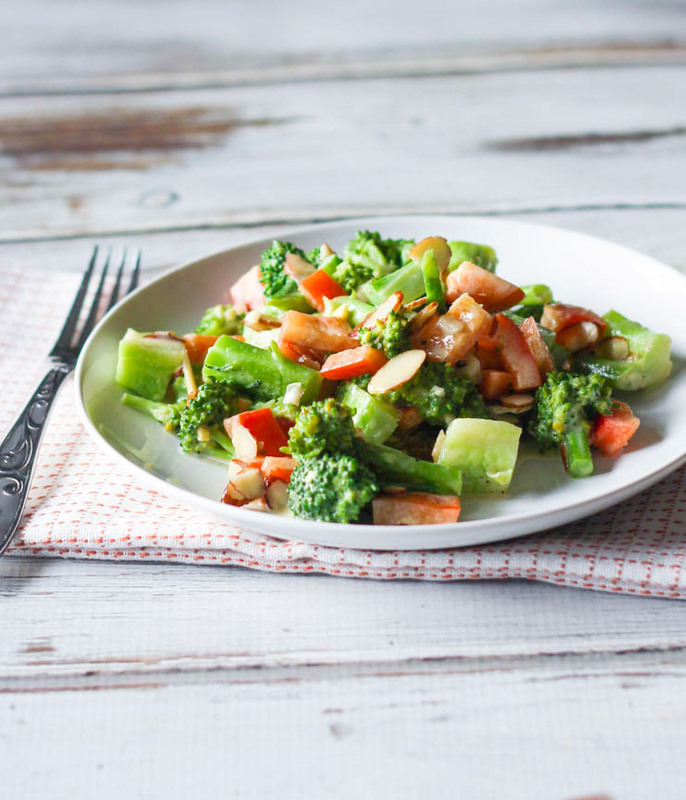 Stir bell pepper into broccoli and set aside to cool to room temperature. 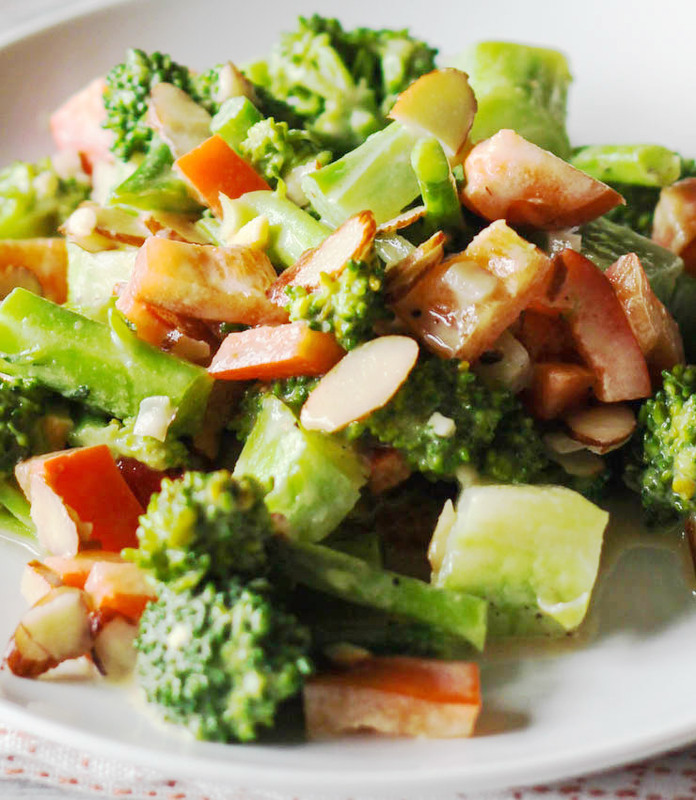 When broccoli has cooled, pour dressing over and toss to coat. Add almond and toss to evenly distribute.